SIBO is a condition where there’s excess (and the wrong type) of bacteria in the small intestine. Many of the symptoms commonly found with Irritable Bowel Syndrome (IBS) may also be a sign of SIBO, or Small Intestinal Bacterial Overgrowth. This is one reason it’s important to talk to your doctor or gastroenterologist before coming to any conclusions about what’s causing your symptoms and taking action. SIBO means you have a high level of bacteria in your small intestine, and it’s the type of bacteria you’d expect in the colon instead of the small intestine. 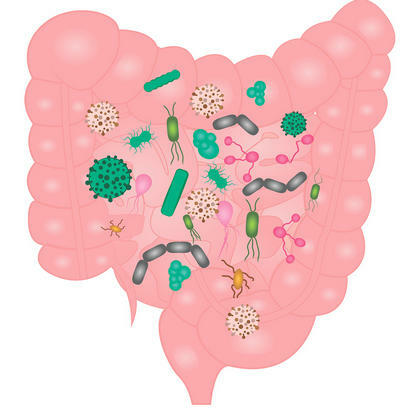 While bacteria are commonly found in both the colon and small intestine, there is supposed to be more in the small intestine (and different kinds of bacteria). If you have symptoms like gas, bloating or diarrhea–all also common symptoms of IBS–then you might have SIBO. To diagnose SIBO, your doctor will likely you have you take a Breath Test. This test is either performed at the doctor’s office or at home. The test is measuring for spikes in gas. There should only be one spike of gas after consuming the lactulose. If there are two spikes, this indicates that bacteria in the small intestine are producing gas. Some hydrogen breath tests use glucose instead of lactulose. SIBO is usually treated with antibiotics including rifaximin, ciprofloxacin or metronidazole. The goal of the antibiotic is to wipe out the bad/excess bacteria in the small intestine. Antibiotics work for many people suffering from SIBO but their effects are sometimes temporary. Antibiotics treat the result, not what caused the SIBO in the first place. While the science is still developing, there are several ways SIBO might be kept in check long term. One of these is the low FODMAP diet. Other possible solutions include herbs and probiotics. Work with your doctor to determine the most effective long term solution to SIBO.